An infertility practice is more than statistics, procedures, or the latest technological advancement; it is about helping women become pregnant when they want to become pregnant- plain and simple. With the explosion of fertility awareness over the past decades in the medical community and the media, the emphasis has been on what is the best way, the newest technology, the "surefire" solution (or who's the "best doctor"), for getting patients pregnant; which, I feel is missing the point entirely. I tell my patients, getting you pregnant is the easy part. The hard part is "keeping you in the game". That's because the heart and soul of an infertility practice is the service- not the technology. The emotional component of the fertility process is more complex and demanding than any procedure- and that's the part that's getting overlooked. While a procedure-centered, rather than a patient-centered, approach could be described as a characteristic flaw of western medicine in general, and certainly not limited to infertility practice, infertility specialists have a unique opportunity to empower women in ways that other physicians do not. It doesn't matter whether you have a 19 year old who's never tried to have a baby or a 43 year old who's spent year after heartbreaking year trying. The despair that comes with not being able to get pregnant is not definable by any one age or situation, which is why I feel as though my job is not, just to help these women get pregnant, but to treat them like I would my sister, my daughter, my best friend. To respect them, but most importantly, to listen, not just to what they are saying, but to what they're not saying, the silence. It is only by listening and hearing, that you are able to be effective and offer treatment options that are best suited for each individual couple. It is not until you fully understand all the pros and cons of each treatment option, that you can choose the best option. Treatment options are a couple's choice, not the clinic's choice. I look forward to meeting and working with you and your partner to achieve a successful outcome. Hi, my name is Shane Lipskind. As a board certified obstetrician-gynecologist and a fellowship-trained subspecialist in Reproductive Endocrinology and Infertility, I feel incredibly fortunate to have gravitated toward one of the most dynamic and compelling fields in all of medicine. If you’re reading this page, you may understand why. While the science of reproductive medicine is absolutely fascinating in its own right, it was the promise of helping patients to fulfill their dreams of family and a better quality of life that inspired to become a reproductive endocrinologist. I ultimately completed a 3-year fellowship in Reproductive Endocrinology and Infertility at Brigham and Women’s Hospital of Harvard Medical School and devoted myself to acquiring the skills and expertise necessary to provide the highest level of reproductive care. There, I gained broad and in-depth first-hand experience in the evaluation and treatment of infertility and reproductive disorders. I developed special interests in endometriosis, fibroids, premature ovarian insufficiency/failure, polycystic ovarian syndrome, hypothalamic amenorrhea, preimplanation genetic diagnosis and screening, and advanced laparoscopic, hysteroscopic and computer-assisted (robotic) surgery. As a consultant at our partner hospitals, Boston Children’s Hospital and the Dana Farber Cancer Institute, I also learned to care for pediatric and adolescent girls in need of specialized gynecologic care and to deliver emergency fertility preservation services to patients facing a diagnosis of cancer. I am now thrilled to return to the Phoenix Valley to join the outstanding team at Arizona Center for Fertility Studies in providing some of the best reproductive surgery and assisted reproductive technologies services in the world. ACFS strives to stay on the cutting edge of our field and is always seeking to integrate scientific discovery with the practice of everyday medicine. Moreover, I am sure that you will find, as I did, that ACFS is a practice that truly cares about its patients. It was that special blend of empathy and medical excellence that made me a believer in this amazing practice. I would be honored and delighted to carry that tradition forward with you and hope to meet with you soon. I met Dr. Jay Nemiro twenty-six years ago, when we got together to discuss the potential startup of a program for assisted reproduction. After a few short meetings, we organized and set up the program within a relatively short period, beginning the ongoing odyssey. We shared very similar philosophies on how assisted reproduction should work and that our number one goal was to treat our patients with utmost respect, with understanding of the difficulties relating to infertility and with the highest standards of medical/laboratory care. Those philosophies have been applied unwaveringly throughout the many years we have worked together. The greatest joy in our works has come with the knowledge that so many families have been established over the years, families that we helped through the laboratory, surgical and endocrinological methods we have applied to achieve successful pregnancies. I have lost count now of the numbers but know there are thousands of babies who were born through our assistance and through the continued persistence and commitment of our patients. 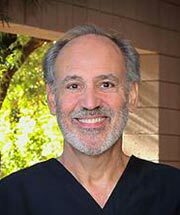 My pleasure in working with our patients, with the people at the Arizona Center for Fertility Studies and especially with Dr. Nemiro has been immense. The patients have always come first in our program. Modern science and medicine have developed to nearly unbelievable levels in recent years. We have continuously upgraded, updated and improved our procedures as the field has undergone tremendous growth and sophistication during the past quarter century. Hi, my name is Andrew (Drew) Barker. I am a board certified Technical Supervisor in the areas of embryology and andrology by the American Association of Bioanalysts. Growing up in the Midwest and attending the University at Northern Illinois, I earned a Bachelor of Science degree in Biology and a Master of Science degree in Evolutionary Biology. I have over 10 years extensive hands on experience in human embryology including intracytoplasmic sperm injection (ICSI), assisted hatching (AZH), biopsying embryos (polar body, blastomere and trophectoderm), and oocyte/embryo cryopreservation. I have published in peer review journals on vitrification (rapid freezing) of human blastocyst embryos. 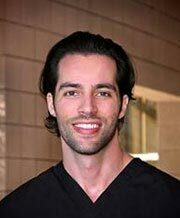 Over the years, I have traveled extensively, and I am actively committed to continuing to improve ACFS already excellent IVF success rates and bringing Arizona Center for Fertility Studies to the cutting edge of modern technology through the utilization of blastocysts culture, vitrification and micro-array analysis for PGD/PGS. I routinely attend continuing medical education activities and committed to remaining at the forefront of ART and the continuing technological challenges and advances the field offers. When not in the lab, I can be found at a local golf course or in the air; as I am an avid pilot and actively involved in promoting general aviation. 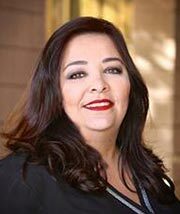 I am always happy to answer any questions you may have and, along with Dr. Nemiro, actively involved in the treatment decisions of the valued patients at Arizona Center for Fertility Studies. I look forward in meeting you and to having a successful outcome. 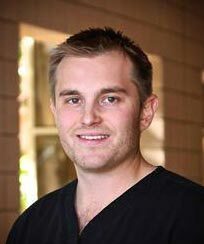 Hi, my name is Kyler and joining ACFS medical team was an opportunity of a lifetime that could not be ignored. Combining the medical field's science and gratification of changing individuals' lives for the better, perfectly illustrates my ideal work environment; which is exactly what I accepted here at ACFS. I graduated with a biological sciences degree (BS) and a concentration in nano-science from the University of Calgary in the spring of 2011. After 4 years of biology under my belt, it was clear that being involved in medicine was inevitable. Since graduation, I have worked in genetics and animal science in Canada, until an opportunity presented itself to work at ACFS. I was so excited about this opportunity that I decided to "take a chance", packed up and moved to Arizona on short notice. After getting a social security number, driver's license, apartment and a old blue mustang, I was excited and ready to start on my new life course. 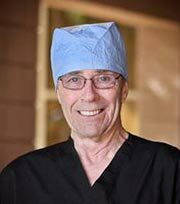 I am very pleased to be involved in reproductive medicine at Arizona Center for Fertility Studies. Being from Canada, I of course enjoy hockey and winter in general; but being able to golf year round sure has its perks. When not playing or watching sports, I can be found hanging out with friends and taking weekend trips exploring Arizona. I sincerely hope you choose to work with Dr. Nemiro and the team at ACFS and allow us to help build your family. Gina M. Caiazza, R.N., R.N.F.A. 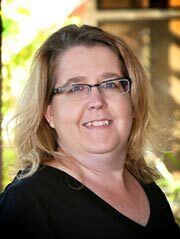 Hi, my name is Jennifer, and I am one of the RN’s to join the ACFS team. I have been in the medical field for over 20 years in women’s health and fertility. I come to ACFS with 5 years of reproductive medicine experience, as this sub-specialty is my passion. I was an infertility patient myself, so I understand what you might be going through. As a patient myself, I understand all the trials and tribulations that one goes through and the myriad of emotions that you may be experiencing. At other clinics, I was seen as a number and not a patient. Here at ACFS, we all put our passion towards your journey and make sure that each of you are treated with care, compassion and respect. This is one of the many reasons I joined this amazing group and look forward to being part of your successful treatment. The field of reproductive medicine is constantly growing and I love to learn; and will do whatever I can to help you achieve your goal. I am very excited to be part of the ACFS team and here to make your journey special and a little less stressful. I look forward to meeting and working with you. In my 21 years of experience as a Medical Assistant, nothing has given me greater joy and job satisfaction than working in this innovative reproductive medicine field. I am incredibly blessed to have a career where making couples dreams a reality is our main focus. I greatly enjoy being a member of such a dedicated team. We all have the same vision; to help our patients start or add to their families. Each time we have a patient bring in their newborn child, we are all reminded of the small miracles that we are performing every day. It is so wonderful to be able to give people the greatest gift of all - life. I look forward to meeting and working with you and to helping you fulfill your dreams. Hello, my name is Melinda, and I am a Medical Assistant with 10 years of experience in Obstetrics and Gynecology. I started in the medical field as something to fill my time after having children, not knowing that I would fall completely in love with medicine, patients, their families, and all the new babies coming into this world. What I did not realize though, was how difficult it was for some couples to conceive. My parents were infertile, which lead to adoption of my brother and myself. The technology and passion for reproductive medicine were not there at the time. After I began working at ACFS, I realized just how many couples have so much difficulty conceiving and what an array of complications they have which lead them to our office. I knew that this was something I wanted to be a part of. It became blaringly obvious to me that each pregnancy is an absolute miracle, something that I had taken advantage of three times. I am so honored to be part of this team, and I look forward to being there for you and your family, and continuing your legacy. I truly feel that this is a “dream job” and I thank you for allowing me to be a part of this process. I hope I’m able to provide not just medical care to you, but also care for you in a way that stands above other clinics. I’m very excited to be part of your journey! 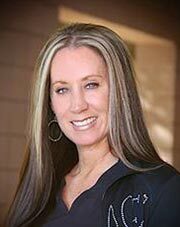 Newer to infertility, I have been in the medical field for over 20+ years and native to Arizona, working in many different areas of the industry. Working with people and providing the best level of customer service is my passion. My background includes hospitals and private medical firms from physical therapy to homeopathic medicine. As Practice Manager, I enjoy working directly with patients making it possible to achieve their goals. Working with Dr. Nemiro and his highly skilled medical staff is truly a pleasure; and I am glad to be an intricate part of the team. ACFS truly understands the sensitive feelings of patients and takes the time to listen to their needs. It is truly heartwarming to hear the success stories through the process. Hi, my name is Aiesha, and for years I have worked in the service side of the medical field. 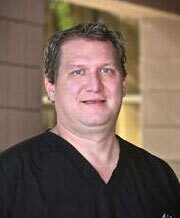 My experience with Arizona Center for Fertility Studies began as a patient of Dr. Jay Nemiro more than 7 years ago. I underwent an IVF cycle to conceive my son. Three years later I underwent an IVF cycle as a gestational carrier of twins. The compassion, care and understanding that I was treated with by the doctor and staff at ACFS during each of those cycles has always remained near and dear to my heart. So much so that I always wanted to join this team and help others, as I was helped. I have first hand knowledge of the difficult journey that many women experience dealing with infertility and I am extremely passionate about assisting patients while they achieve their dreams of having families. I look forward to assisting you and your partner through the office logistics and appointment scheduling and achieve a successful outcome. Hello, my name is Elizabeth. I began working in healthcare as a front office specialist during college and I quickly realized that I wanted to follow my heart and pursue a career in the medical field. After 10 years of experience in other specialties, I was fortunate enough to have an opportunity that I couldn’t turn down in reproductive medicine. I never could have imagined how fascinating and rewarding this field could be, and I am incredibly honored to join Dr. Nemiro and his highly skilled medical team at Arizona Center for Fertility Studies. Supporting our patients throughout their journeys and witnessing the miracles that happen as a result are incredibly rewarding and are the reasons I love coming to work every day. As Financial Resource Coordinator, I realize that the financial aspect of infertility treatment is very important and I will work with you to make sure you have all of your questions answered. My goal is to help you achieve yours, and I am happy to assist you in any way I can. I look forward to meeting you and I wish you the best in your dreams of growing your family! 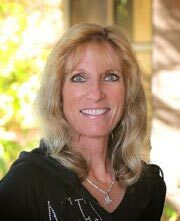 Hello, my name is Christina and I have been in the medical field for over 20 years. For the last 13 years, I have worked in both general and plastic surgery offices doing all aspects of front office duties from administrative coordinator to surgery scheduler to medical secretary. Although I was happy at my last job, I was looking for something that challenged me more and would give me an opportunity to use the experience and skills I had learned over these last 20 years. ACFS is a different kind of medicine for me, a whole world I never knew existed. What an incredible opportunity to be able to contribute to making such a profound difference in a person/couples life. You will find that I am easy going, hard-working and will do whatever it takes to help you through your journey at our office; and, I will always greet you with a smile. Welcome to ACFS and I look forward to meeting and working with you.